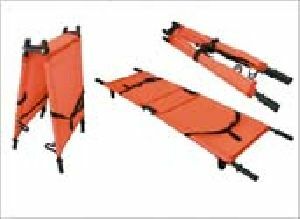 Double Fold Stretcher Folding Double Fold Stretcher, Product size: 210 x 53cm, Stretcher pipe made of Aluminium. 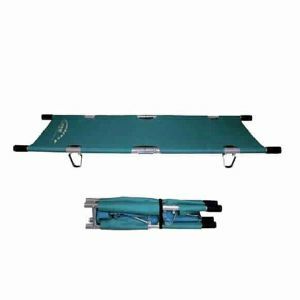 Material : It’s prepared by using the finest quality of fiber material. 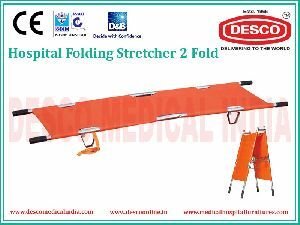 We are offering double fold stretcher. 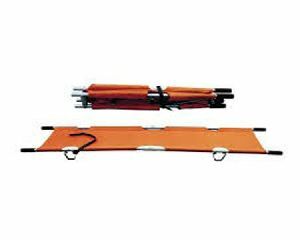 Bth 11 double fold stretcher bth double fold stretcher made of m.s. 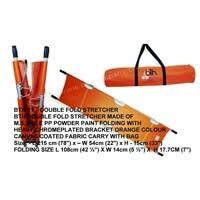 Pole pp powder paint folding with heavy chromeplated bracket orange colour canvas coated fabric carry with bag. 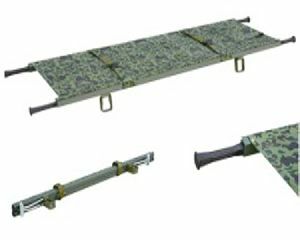 Self-weight : : 5 kg, Load Bearing: 159 kg. 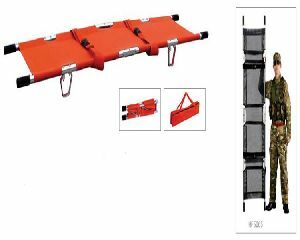 Carrying Capacity: : 100 kg. 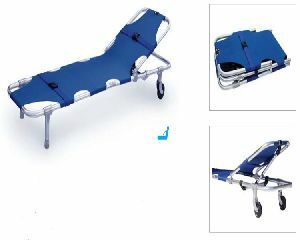 The product is made of high-quality aluminum and polyester fabric, light weight and comfortable. 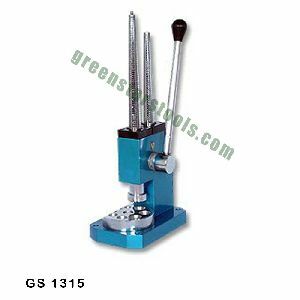 Description :-This high quality double headed ring stretcher/reducer ensures exceptionally accurate ring sizing. It has pre-drilled holes for bench mounting. 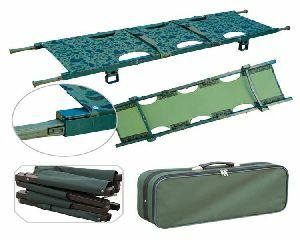 Durable and versatile. 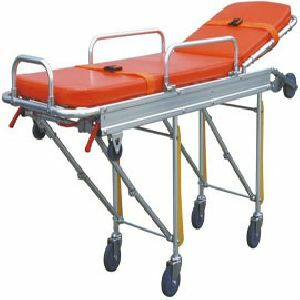 Raj Medical Supplies & Equipment..
Self-weight: : 8 kg, Load Bearing: 159 kg. Self-weight: : 11 kg, Load Bearing: 159 kg. Weight : Its Net and Gross Weight varies up to 7.5kg and 9kg respectively. 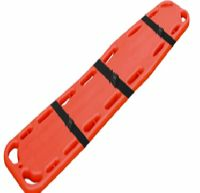 Packaging Details : 1pc of these stretchers will be packed in one carton. 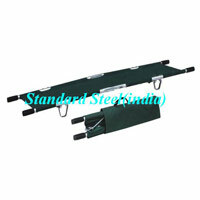 Load Bearing : It can bear a maximum weight of 159kg. 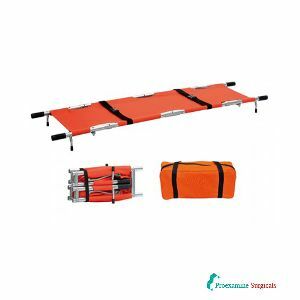 Self-weight: : 7 kg, Load Bearing: 159 kg. 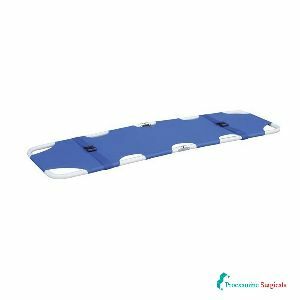 Self-weight: : 9 kg, Load Bearing: 159 kg. Self-weight : 7 kg, Load Bearing: 159 kg. 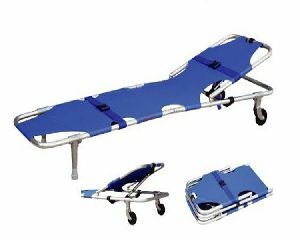 Specification: Light Weight. 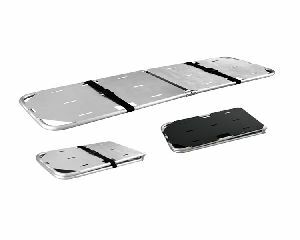 Anodized aluminium alloy framework. 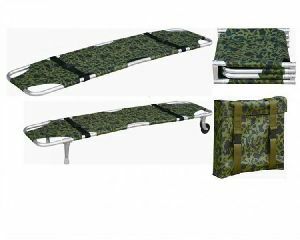 Washable, water proof & anti-fungus fabric top with safety belts. Unfolded Size (LxWxH): 185x52x5cm. Folded Size (LxWxH): 93x52x6cm. Self-weight: 3 kg, Load Bearing: 159 kg. 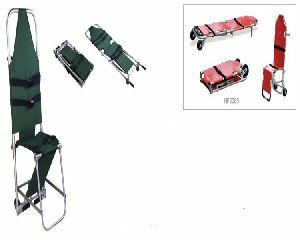 HF5000I - Stretcher Single Fold With Two Wheels Light Weight, easy clean, anodized aluminium alloy framework with 2 wheels. 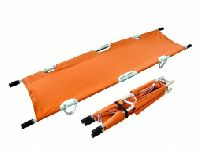 Washable, water proof & anti-fungus fabric top with safety belts. Unfolded Size (LxWxH): 185x52x23cm. Folded Size (LxWxH): 93x52x10cm. 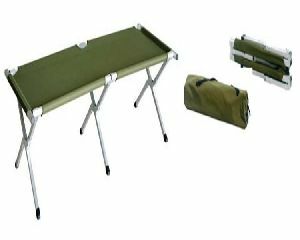 Self-weight: 5 kg, Load Bearing: 159 kg.